Deep learning is a powerful family of tools that has had great impact in solving problems ranging from object recognition to machine translation to playing Atari or Go games. However, it is traditionally treated as something of a black box: you put in as much data as you can, twiddle some knobs, wait for results, and repeat until results are good. There's an emerging area of research developing meta-tools for understanding what's happening in a deep learning system through visualization. Not only do such visualizations make this area more approachable and understandable for beginners, but the explorations they open up into the inner workings of deep learning can lead to valuable research insights. We'll start with a brief visual introduction to essential concepts of deep learning, and then take a tour of several other visualization tools, playing with systems that can illustrate what a deep learner has learned, and finally demonstrating tools that can help debug deep learning applications. Many of these visualizations are hands-on, so bring a laptop with an up-to-date browser (and few open tabs) for the best experience. Whether you're a professional data scientist or just someone interested in what this “deep learning” thing everyone's buzzing about actually means, if you're curious in this area, you're very welcome to explore with us at this workshop. 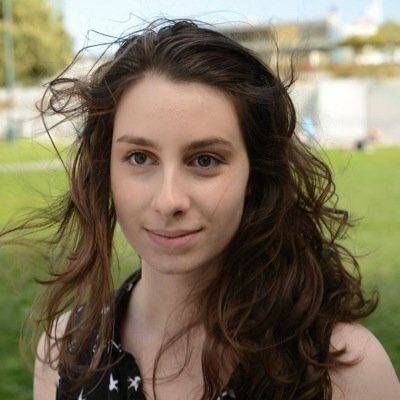 Eliana is a Thiel Fellow working on deep learning and augmented intelligence/tools for thought, and she's especially excited about crossovers between the two. She dislikes being stuck in a human body and bad software, but loves figure skating and jazz (especially 6'37" of Point of View Redux).